Map It! 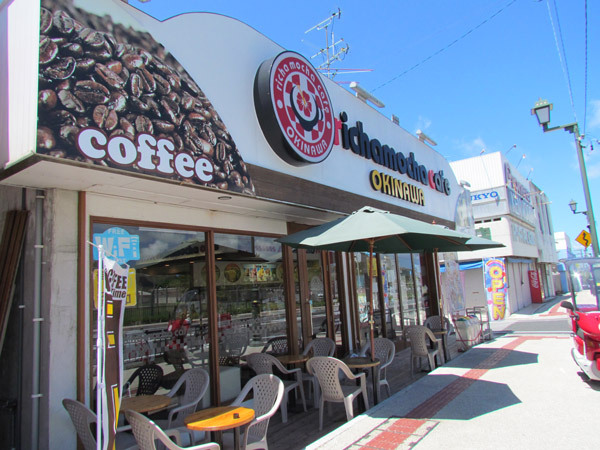 Okinawa: "RichaMocha Cafe in Kin"
This is Richa Mocha Cafe in Kin. It is off of Highway 329 and right across from the military base Camp Hansen. It's a great place to relax with nice background music. They have WiFi or you can use their ethernet connection. Workers are really nice. Place is very clean inside. Phone number: 098 968 5986. Hours: 11:30am to 10pm, Daily. Parking: Some people just park right next to it momentarily. There is a parking lot behind it about a block away. See Green Thumbtack. Other places of interest nearby: Kin Kannonji Temple, O-kawa, Statue of Oshiro Kozo, Kin Watch Tower, Kin's Castle Rock, Kinjo's Used Goods, Kin Town's Hidden Nature Trail, Statue of Toyoma Kyuzo, Birth Place of Toyoma Kyuzo, Kin Town's History Chronicles, Kin Town's Cherry Blossom Way.